Whether you’re just getting started in business, or have a successful business up and running the fact is that sales are your company’s lifeblood. In today’s digital world, creating a website that convert’s visitors into leads is only the first step. The inbound marketing/sales process is exactly that… a process, one which involves moving a lead from first contact, through to the close in a series of steps. Lead nurturing requires management. 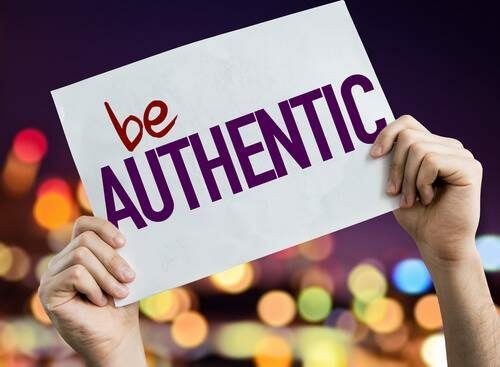 Using various methods to continue to build trust, keep your business top of mind, provide prospects with specific valuable information, and finally offering solutions, takes time, tools, and proper management for success. Here are some tips and tools for properly managing your sales/lead funnel in order to maximize conversions and gently guide your best prospects from first contact to the close! Ok, so this was probably covered in inbound marketing 101, but let’s recap. Your sales funnel is a “visual” representation of how you generate leads and nurture them through the sales process. If you imagine the nurturing process as a funnel, the widest part is at the top. This is basically the earliest and broadest approach you take for generating leads. 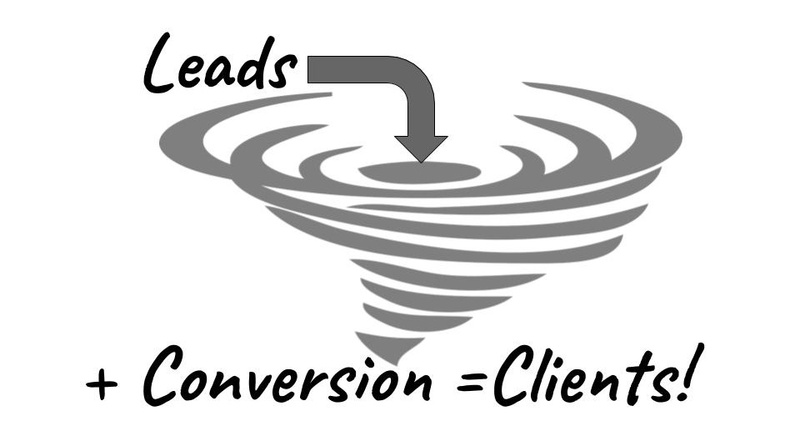 As you move through the funnel and the opening gets narrower, you are taking those original broad based leads and further defining them. By refining your approach as you learn more about your prospects, the information you provide becomes more directed and personalized. This builds trust and guides your prospect through their buying process as they gather information and seek solutions. Managing your sales funnel is about providing exactly the right information at exactly the right time in the process to move prospects forward, towards the sale. There’s often more than one right answer and different solutions to common problems, some may work better for different organizations depending on their structure. Here are some tips for managing your sales funnel more effectively. Many organizations center their sales funnel management on their need (sales) rather than on the customer’s wants and needs (solutions and results). Effective nurturing centers around asking the right questions, at the right time, to the right people. Sales managers need to ask their team the right questions, and salepeople need to be comfortable asking tough questions of their customers. Once a lead has moved through the marketing process to “qualified” status and been passed to sales, nurturing needs to continue. The right questions can lead to the right solution, but the focus needs to remain on the customer, not the sale! 2. Don’t Neglect Payment Options! Adding a simple way to purchase your product or service once your prospect has gone beyond the initial stages of contact can accelerate the buying process. By giving customer’s the option to buy early, using technology like Paypal or GoogleWallet can sometimes trigger sales. Once you’ve established the lead as qualified, (second or third contact) offering an easy way to pay can often bypass the later stages of your funnel and prompt a sale earlier in the process. Of course, avoid the hard sell! You’re still providing information at this stage, but a customer may make an impulse purchase early if the email content is targeted and a payment option is offered! 3. Don’t “Turn-On” Your Sales Team Too Early! One of the biggest mistakes companies make is “releasing the hounds” too early! The first two-thirds of the nurturing process belongs to marketing! At this point your funnel should be called a “marketing/sales funnel!” Your two teams need to work together during the nurturing process. Aligning the tasks and goals of marketing and sales can increase your close rate significantly! Have a logical transition point. Marketing’s job is to provide useful information and guide a prospect through your funnel until such time as they indicate that they’re ready and willing to buy. At this point, the “qualified” lead should be turned over to sales for the close! Talking features and benefits too early instead of addressing your customers pain points and goals. Not actively listening to a prospect’s concerns. Not mirroring the customers words and instead using long sentences and jargon. Avoiding their objections instead of seeing them as opportunities to offer solutions! Like item one, this happens when your sales team loses their focus on the customer and instead focuses on their own fears or goals. We’ve all heard the phrase “the right tool for the job!” This applies when managing your sales funnel too. Providing your sales and marketing team with the proper tools is a key element for aligning your teams efforts. Here are a few great tools to help manage your sales funnel. A good CRM is the most important tool to manage every stage of your sales funnel. Using it can help you to track leads, open deals and your current customers. By cross sharing CRM data between marketing and sales you can effectively track customers from the marketing stages of your funnel and turn them over to sales when they meet certain pre-determined thresholds. Today, it’s getting harder to reach decision makers and get their attention. They’re probably receiving hundreds of emails every day, and you need to make yours stand out! You need a strategic approach with your content and to provide maximum value in every email, but you also have to be creative enough in your approach to get your emails opened. The best way to accomplish this is by tracking your email’s open and click rates. This is pretty standard from a marketing standpoint, but these numbers were often segregated from the sales team. Part of aligning your sales and marketing teams is information sharing. By notifying sales each time a piece is opened, you give them the ability to structure their approach by understanding customer triggers. For example, offer A is generating 50% more opens than offer B. Your sales team can then focus the proper offer to the proper prospect, showing how your product can meet their needs and provide viable solutions. This is a great tool. It used to take multiple emails to get a meeting booked. You sent your availability, they sent theirs and it went on and on. A scheduling tool can help you sync directly with your clients calendars and scheduling a meeting is as easy as clicking a button. With the proper focus, alignment between marketing and sales, and the right tools you can effectively manage your sales funnel to create more leads, better qualified leads and close more sales. Aligning your marketing and sales efforts is an important step. Share data, goals and process and watch your conversions turn into customers!